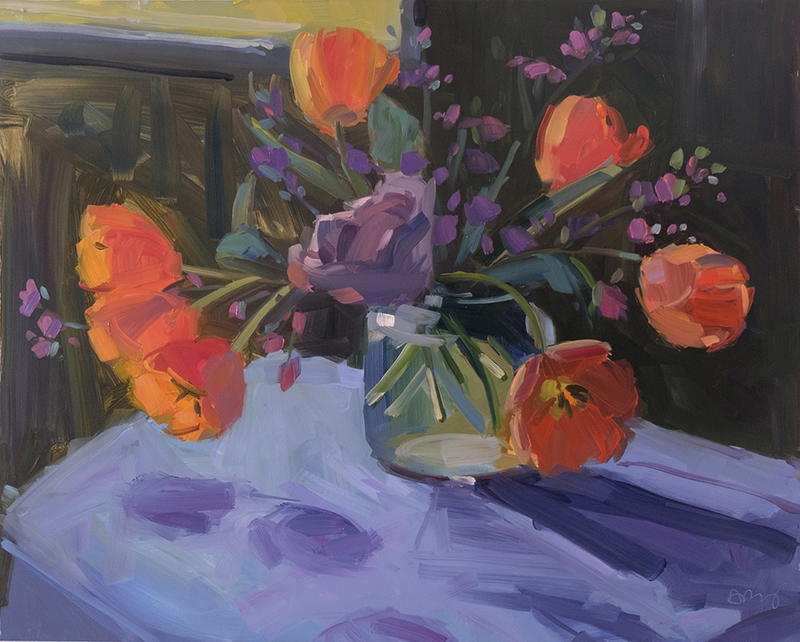 I have painted still life, flowers, and landscape for as long as I have been an artist. 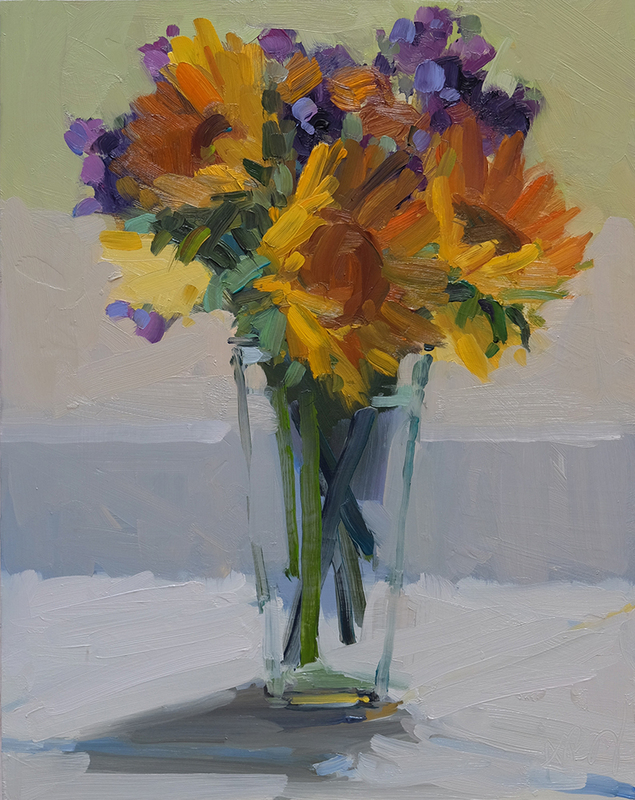 The three genres have always interested me, mainly because I use nature as a vehicle, or an excuse, to paint, and I enjoy painting places and things in which I am familiar or curious. 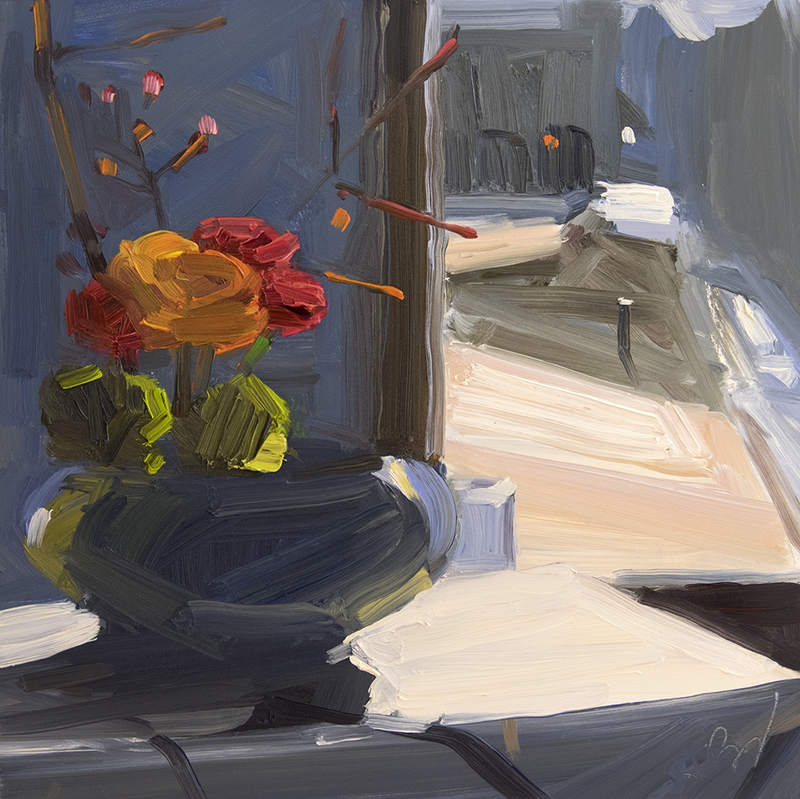 With my interiors, still life and landscape are often paired together, as both influence one another equally, in my mind. 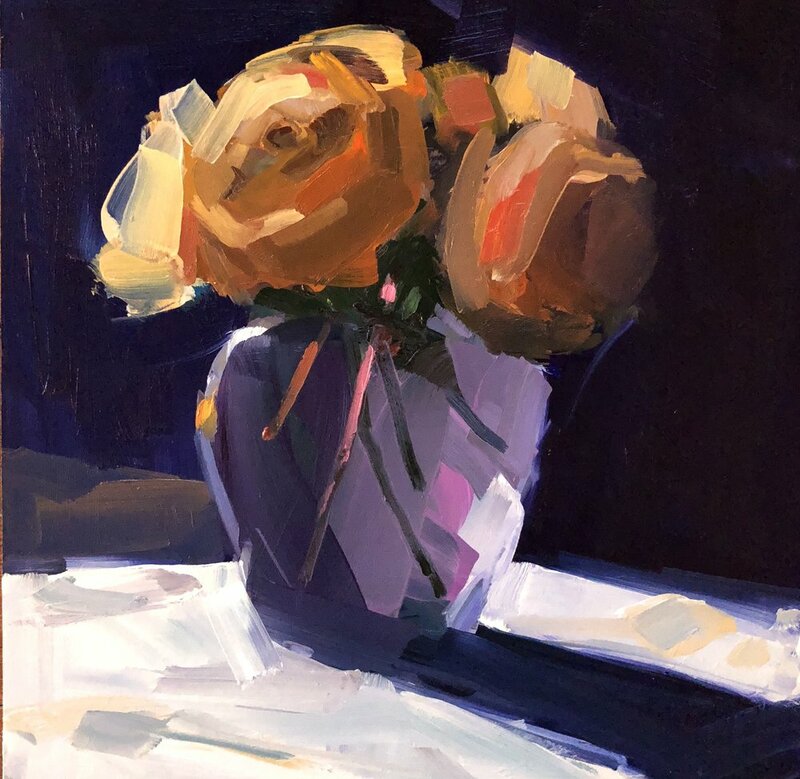 These subjects are strongly related, since the kinds of still life objects I often choose to paint are themselves directly derived from the landscape: flowers; leaves; fruits and vegetables; bird's nests, etc. I also enjoy painting flowers and food on their own. 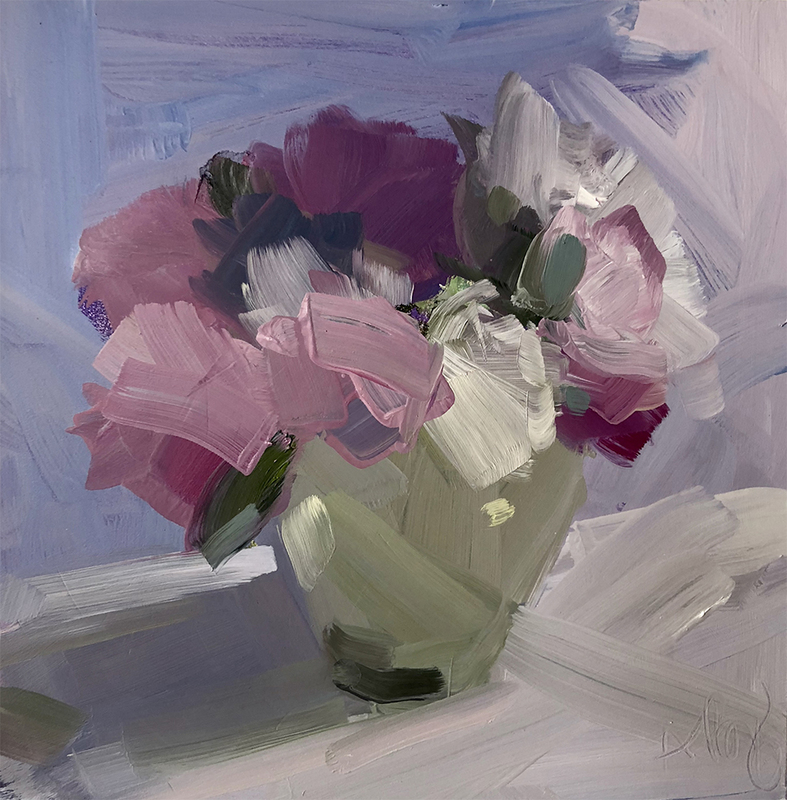 All images are painted rapidly, in an effort to capture the changing nature of organic forms. 16 x 20, oil on panel. 10 x 10, oil on panel. 14 x 14, oil on panel. Sold. 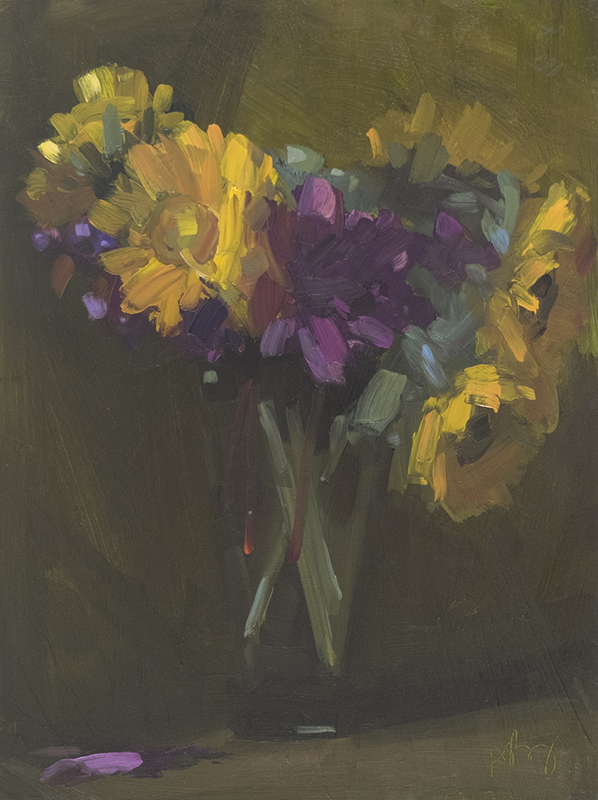 Daffodils 2 (2019), 14 x 14, oil on panel. 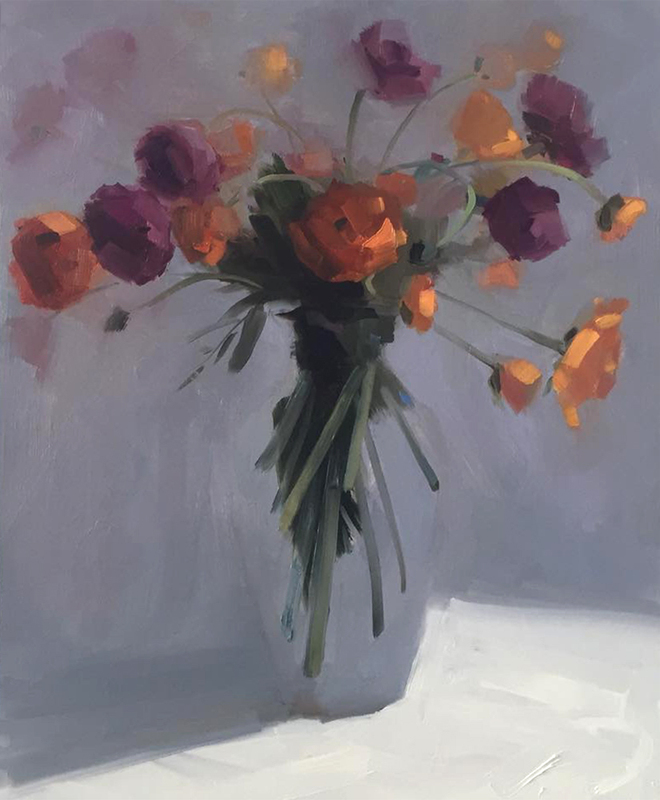 Daffodils 1 (2019), 12 x 12, oil on panel. 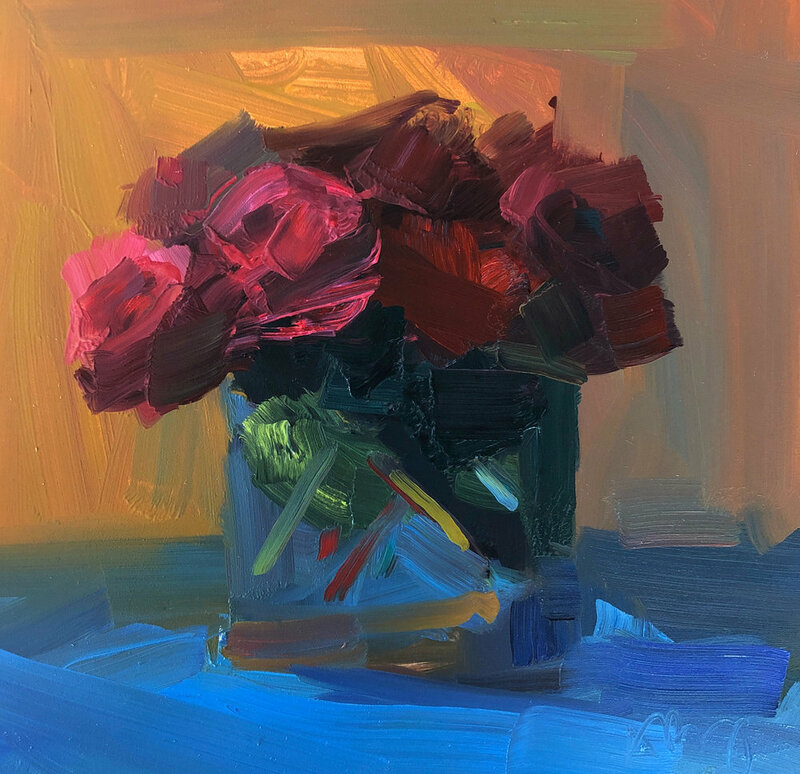 8 x 8 oil on board. 10 x 10, oil on paper. 30 x 30, oil on panel. 16 x 12, oil on board. 14 x 14, oil on panel. 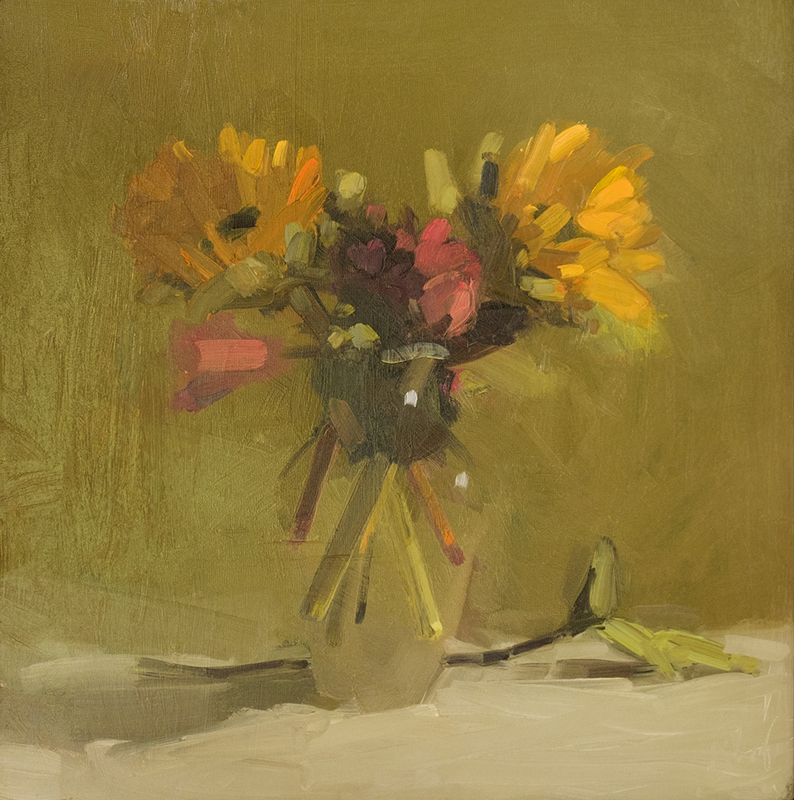 6 x 6, oil on panel. 24 x 30, oil on panel. 10 x 10. oil on panel. Sold. 20 x 16, oil on panel. 30 x 30, oil on panel. Sold. 16 x 16, oil on panel. Sold. 20 x 24, oil on panel. 20 x 24, oil on panel. Sold. 18 x 24, oil on panel. 20 x 16, oil on paper. Sold. 16 x 12, oil on panel. Sold. 16 x 16, oil on panel. 36 x 36, oil on panel. 18 x 18, oil on panel. 24 x 18, oil on panel. Sold. 18 x 18, oil on panel. Sold. 14 x 11, oil on panel. 30 x 24, oil on panel. Sold. 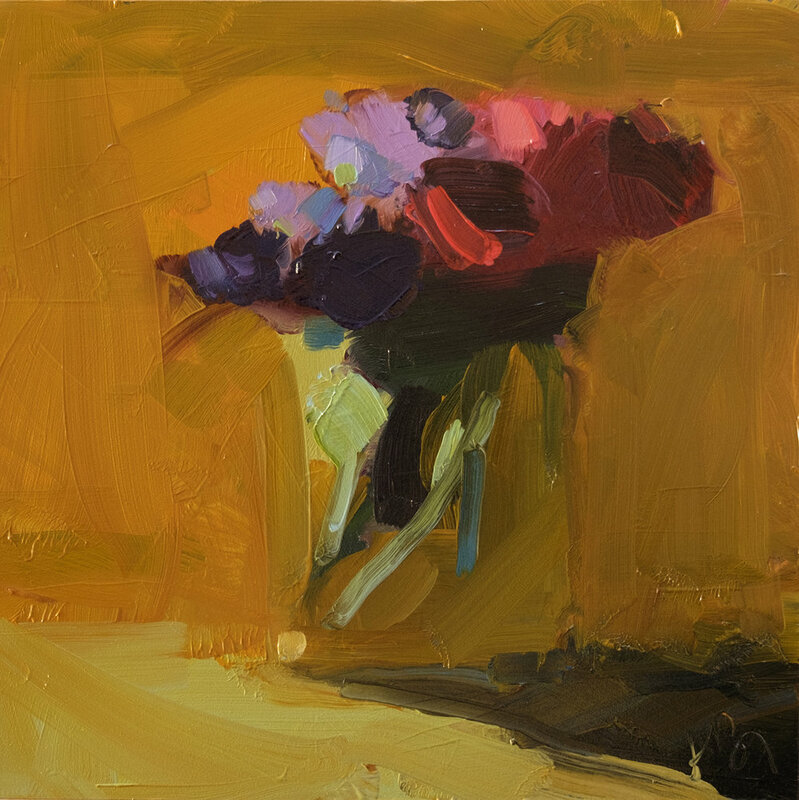 6 x 6, oil on panel. Sold. 24 x 20, oil on panel. Sold. 14 x 20, oil on paper. Sold. 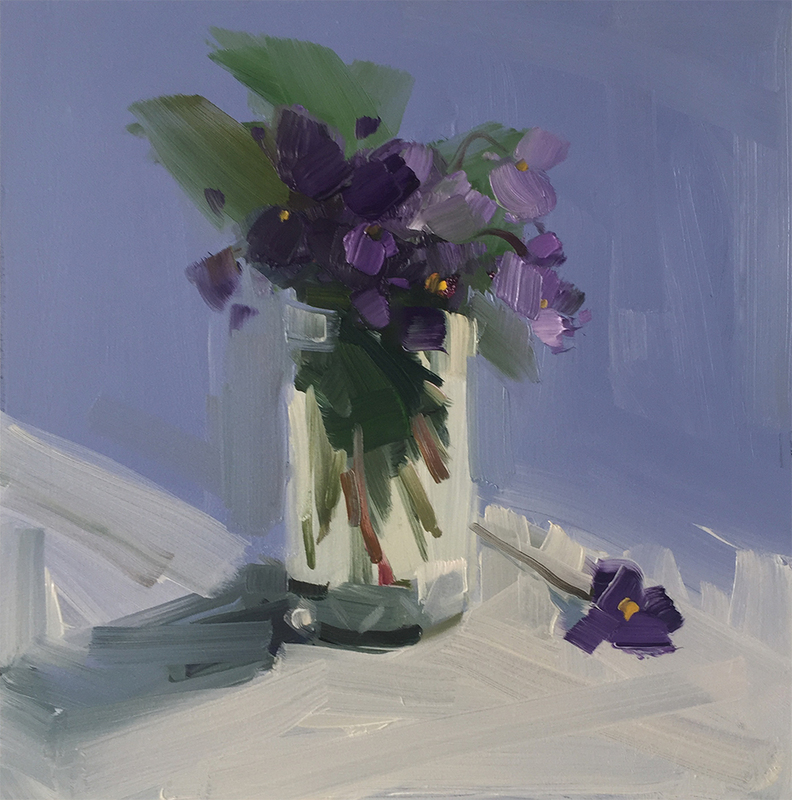 Violets and Forget Me Nots, 10 x 8, oil on panel. 12 x 14, oil on paper. 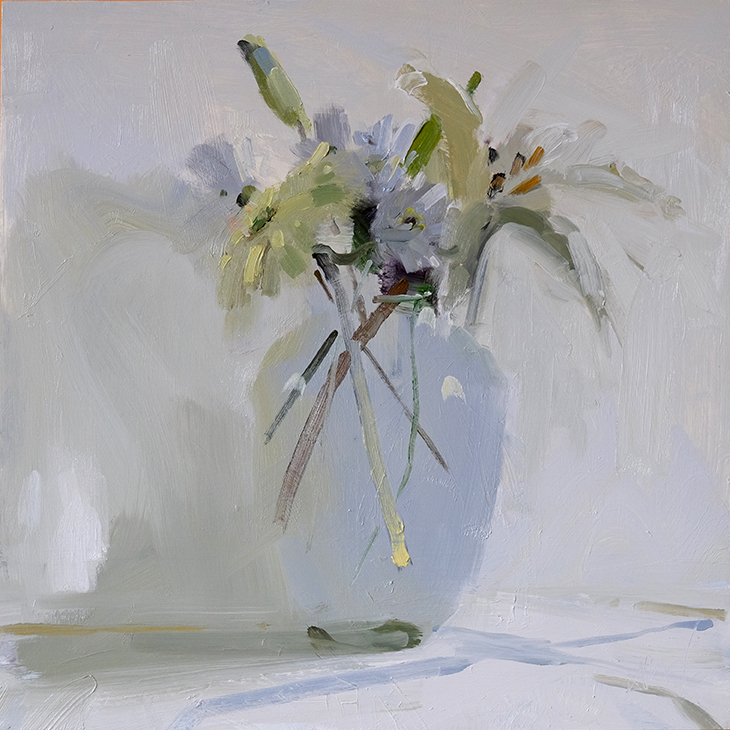 Irises and Hydrangea I, 12 x 10, oil on panel. 18 x 12, oil on paper. Sold. 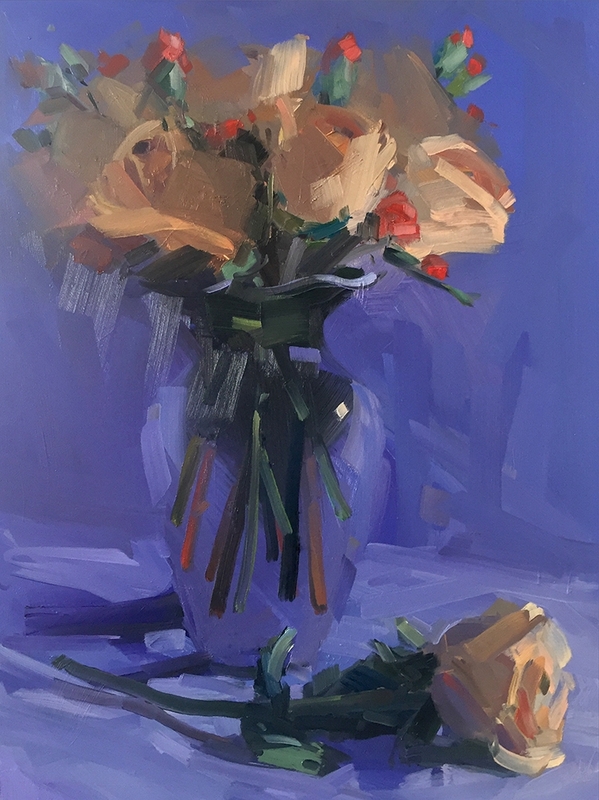 Valentine's Day Roses II, 16 x 12 oil on panel. Sold.